In a press note sent to Geekiest, ASUS India has announced that the company has slashed the price of the Zenfone 3 Max 5.5 inch variant, permanently. The device in question has the model number ZC553KL. The Zenfone 3 Max is now available for Rs. 12,999, after a price cut of Rs. 2,000 from the previous tag of Rs. 14,999. This happens to be the second price cut for the Zenfone 3 Max in less than 3 months. Back in July after the introduction of GST in India, ASUS announced that it was reducing the price from Rs. 15,999 to Rs. 14999. The device was originally launched for Rs. 17,999 in November 2016. To recap the hardware details, the Zenfone 3 Max is powered by an Octa Core Qualcomm Snapdragon 430 processor clocked at 1.4GHz, with 3GB of RAM and an Adreno 505 GPU. The phone sports a 5.5 inch Full HD IPS display, and runs on Android 7.1.1 Nougat. The phone has 32GB of internal storage, with an expandable micro SD card (Hybrid Dual SIM) supporting up to 128GB of microSD storage. 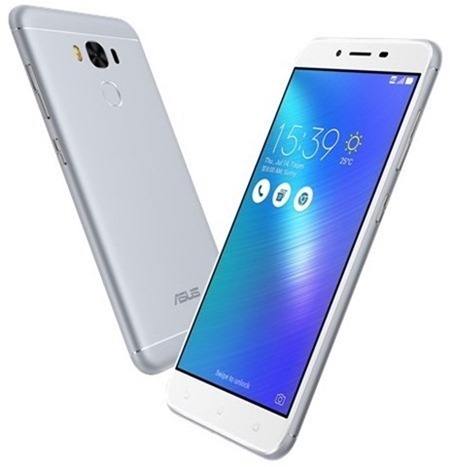 The Zenfone 3 Max features a 16 megapixels rear camera with an f/2.0 aperture, TriTech auto focus comprising of a laser auto-focus, continuous auto focus and PDAF (phase detect auto focus) and a Dual tone LED Flash. The front camera is an 8 megapixels selfie lens with an f/2.2 aperture. The device is backed by a 4,100 mAh battery and supports 10W charging. The Zenfone 3 Max has a rear placed fingerprint scanner. ASUS says that the price drop will be reflected on Flipkart, Amazon, Snapdeal, ASUS Exclusive stores and other major ecommerce and retail stores across India. So far only Amazon India has changed the listing with the new price.